FiWhat is htaccess redirect generator? Redirect Code generator is one best tool that redirects old domain to a new domain. Many developers, bloggers use this tool to transfer their older domain to a new domain. 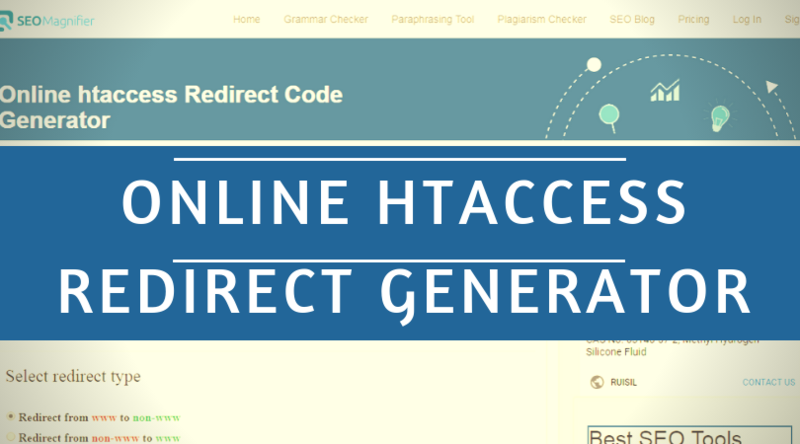 One can redirect it website from www to non-www and from non-www to www by using htaccess redirect code generator. Webmaster or bloggers do this 301 redirect to save their website rank in search engines. One can do it easily by using this free redirect code generator tool. 301 redirection is the best and SEO friendly redirection method for the website. It is easy to implement and to have the stable search engine ranking. Online redirect code generator also saves a website from copy content issue as it prevents everyone from copying content from your website. It will stop other webmasters or scammers from copying your images, videos, and files and stop them from using these into their website. All this is done to prevent your server from handling the load of all content. There are many reasons for using this tool, and one of them is that it is the only best tool that can redirect your website easily, effectively and properly. The rank of the website does not affect by this redirection by this tool. It is not only the best tool but also free. 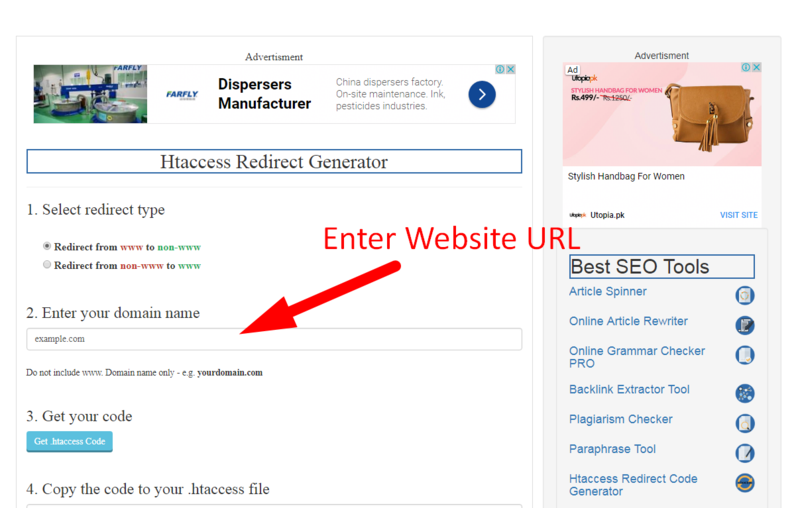 You can use online Htaccess Redirect Generator easily and can generate code to redirect your old domain to a new one. This free tool gives permanent 301 redirections to your website and does not have any effect on search engine ranking. 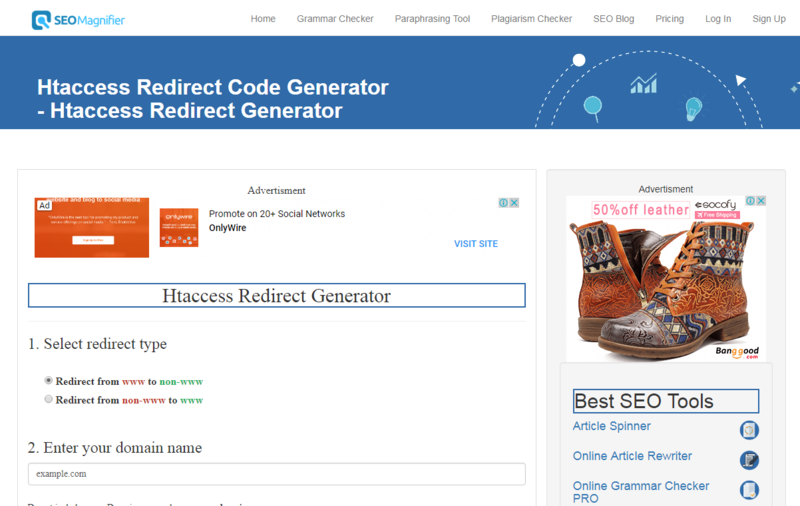 How does 301 redirect htaccess code generator work? 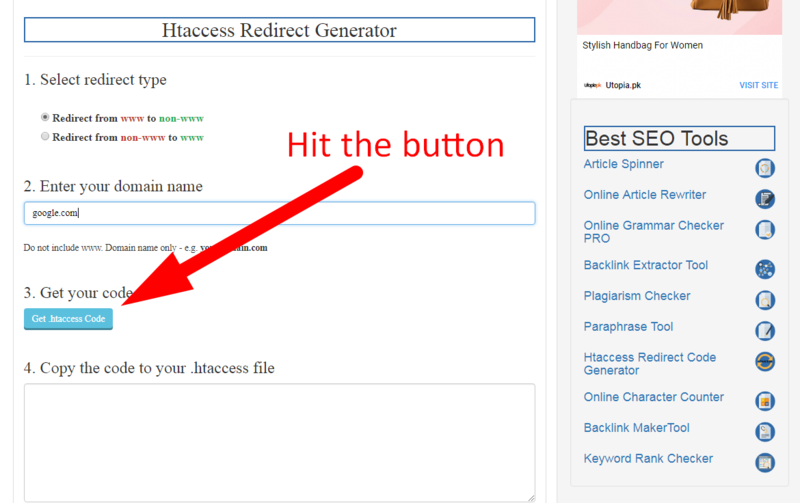 This Free Htaccess Redirect Generator tool works in a very simple way. When you put an old domain name and new domain name, it will give redirection code that you can put into. htaccess file and can redirect your website to a new one. This Online Redirect Code Generator is used for SEO friendly permanent redirect. It supports redirection of HTML, PHP, aspx, asp and htaccess files. 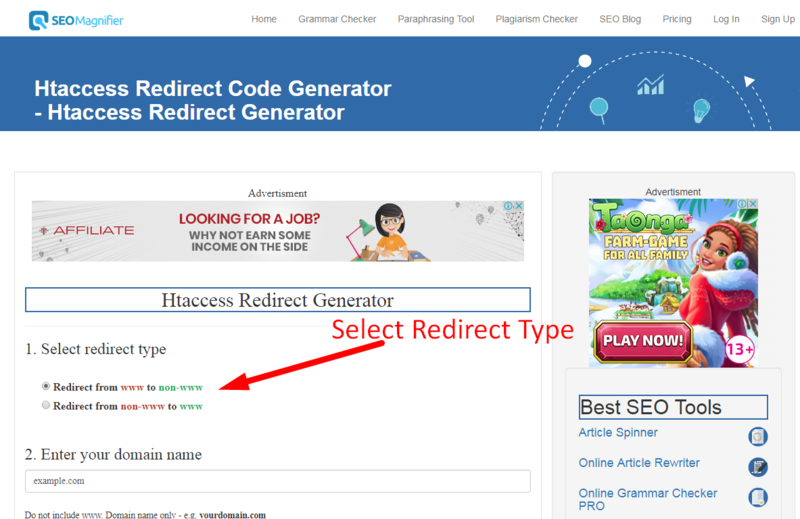 How to use Free Redirect code generator offered by SEO MAGNIFIER? This marvelous online Redirect code generator is offered by the SEO MAGNIFIER which has best SEO tool station among all other stations. Tools offered here are unique in all their senses and work accurately. Following is the way to use this htaccess code Generator. First, select the redirect type. You can choose non-www to www or www to non-www. After that, you have to enter your domain name in the box having heading enter your domain name. 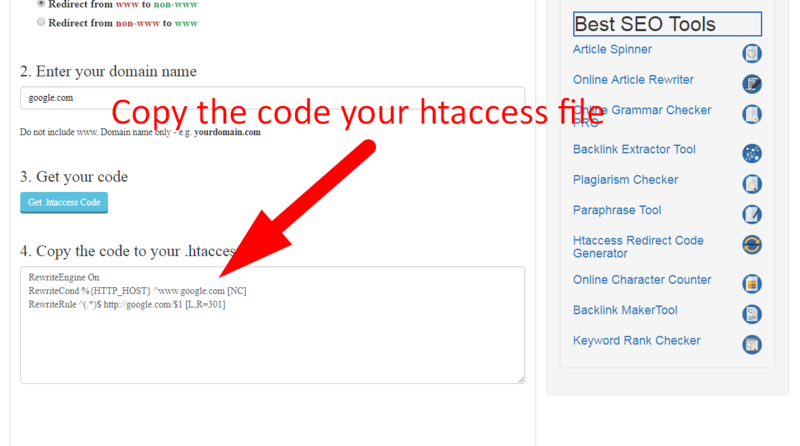 Then click on the get htaccess code. After clicking you get the redirecting code for your website that you have to put into .htaccess file of your website. Your website will get 301 redirections successfully, and it is permanent redirection with no effect on search engine ranking. It is how we can use this amazing tool offered by the SEO MAGNIFIER so simply and easily, and can redirect your website in seconds.